Why stop at the NES? 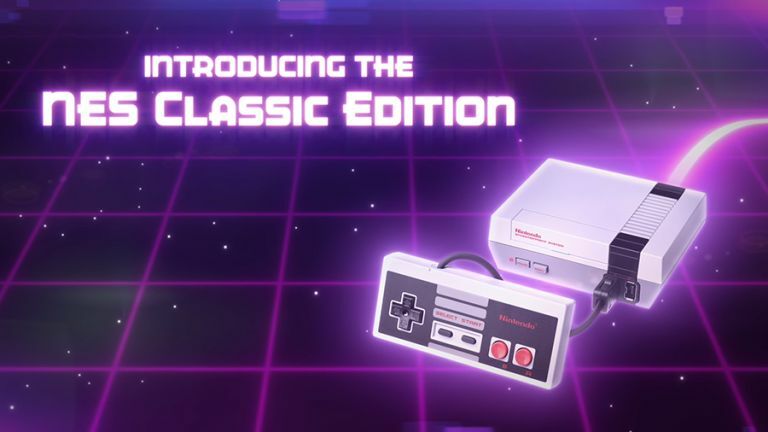 You might have spotted some of the buzz around Nintendo's decision to launch a plug-and-play, HDMI-ready version of its classic NES console for today's gamers - indeed you might already have put in a pre-order (it's on sale in November for £49.99 or $59.99). The box comes with 30 vintage games included, but why should we stop with the Nintendo Entertainment System? There are plenty more classic 8, 16 and 32-bit consoles out there, so we call on the manufacturers to make our nostalgia dreams come true. In many ways the PlayStation marked the point where consoles grew up - titles aimed at adults like Metal Gear Solid and Gran Turismo were front and centre, and of course it used CDs instead of cartridges (though it wasn't the first to do so). Audio and game soundtracks were significantly improved too. In total Sony has sold over 100 million of its original PlayStations. That's a lot of gamers who would happily pay a few pounds for a relaunched edition they can plug into their 2016 TV set - games like Crash Bandicoot, Ridge Racer and Wipeout 3 that helped define a large chunk of our youth. Some of these classics can run on the PlayStation 3 but there's no backward compatibility on the PS4 and we think Sony's missing a trick here. Let's hope the company sees the success that Nintendo has with relaunching the NES as a cut-down box of memories and does the same for the PlayStation. You might not have heard of the Magnavox Odyssey 2 (in Europe it actually went by the name Philips Videopac G7000) but it helped build the foundations that all consoles since have built on - it came out way back in 1978 and followed the original Odyssey, the very first home video game system to go on sale. The Odyssey mark 2 vastly improved on its predecessor by enabling each game to be a completely independent experience and giving players the opportunity to build up a library of titles on their own, rather than being stuck with the built-in games that arrived with the console. A relaunch may be a hard sell because it's not as well known nowadays, but those who spent their formative years battling through KC Munchkin and Pick Axe Pete would no doubt jump at the chance to play them again (alternatively you can run many of the games online at the Internet Archive). The Mega Drive (or the Genesis in the US) first arrived in 1988 and lasted almost a decade before being discontinued, which isn't bad going at all. If you're of a certain age you'll certainly remember spending hours on classic games such as Sonic the Hedgehog and Road Rash most evenings. To be clear, a few companies have already made cut-down Mega Drives with built-in games you can plug into your television, and Sega has also now released many classic Mega Drive titles on Steam for Windows, but we're pining for a fully licensed Sega box with all the classics included. Yes, that means Micro Machines 2 and Virtua Fighter 2 and EA Hockey please. There was something about the Mega Drive: though its sound and graphics seem very dated by today's standards, so many of its games scored highly on sheer playability and fun, which is why we'd like to see it back. Get into a discussion about classic consoles of the past and it won't be long at all before someone mentions the Atari 2600, and we make no apologies for including it here. It introduced the idea of swapping cartridges to play different games, and after a slow start the games made the console a classic. Space Invaders was the first arcade game to be ported to a console and made its debut on the Atari 2600, joining vintage titles including Combat and Pac-Man. Games like River Raid, Atlantis and Adventure really pushed the boundaries for what you could expect to get out of a gaming system at home. And so - is it time to bring the Atari 2600 back? As a tiny box you can plug into your TV with authentic-looking controllers? We think the answer is yes. If nothing else, it would give a generation of new gamers the chance to look back and see where it all began, before going back to Grand Theft Auto V.
The Wii didn't set any new standards in terms of raw power or design aesthetics but it's one of the most unique consoles to ever launch - its simple, motion-based interface and straightforward games tempted in millions more players who would never have gone near an Xbox or a PlayStation. The Wii was a console anyone could enjoy, no matter what their age, fitness, ability or level of experience: you just switched it on and started bowling virtual balls down virtual alleys. There were some useful accessories for the console too, like the steering wheel or the nunchuk controllers. Having launched in November 2006, it's perhaps still to early to 'relaunch' the Wii, but we remember the days of gaming on one very fondly indeed - it's a template Nintendo might want to think about following if it wants to stand out against Microsoft and Sony. Let's see what it unveils in March 2017. Xbox One S vs PlayStation Neo - which console will win the next round?